Despite the recent launch of the all-new CT5 which effectively replaces both the ATS and the CTS, Cadillac’s sedan offensive is not over for 2019 just yet. GM’s luxury brand is now looking to fill the void at the lower end of its passenger car lineup with an all-new model that will slot beneath the CT5. 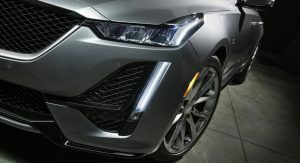 Cadillac President Steve Carlisle confirmed to Autonews that the new sedan will be named CT4 and will debut later this year. He didn’t provide more details, but the CT4 is likely to use the same Alpha platform that debuted with the ATS and underpins the new CT5 as well, although we have no official confirmation at this point. Styling-wise, the CT4 remains a mystery for now, but it’s safe to say it will feature design cues from the CT5. “Boring sedans are dead. 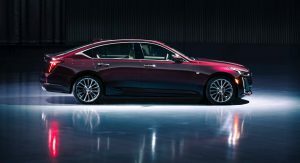 I think awesome sedans are going to be around for a while,” Andrew Smith, Cadillac executive director of global design, said when the CT5 was announced. Here’s hoping the same philosophy applies to the smaller CT4. Under the hood, a 2.0-liter turbocharged gasoline engine is almost certain for most trim levels. However, the CT4 V-Sport performance version might use a V6 engine for extra oomph. 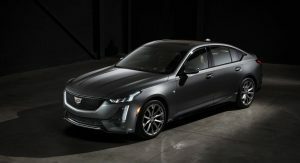 It remains to be seen where, and when, Cadillac will unveil the new CT4, but since the CT5 will go on sale in late 2019, the new sedan isn’t likely to arrive in dealerships before the year’s end at the earliest. 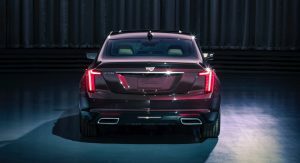 Both the CT5 and the CT4 are part of Cadillac’s product overhaul plan that includes the introduction of a new or redesigned vehicle every six months on average through 2021. That’s great for awesome sedans, but what about ugly sedans? There always will be place for ugly sedans, always. I think we’re in for a disappointment if we’re expecting the CT4 to show up on a RWD Alpha platform. That entire segment is FWD for cost and packaging reasons, and Cadillac has a just-developed new front drive platform up until now unique to the like-sized XT4. It seems plausible (and very GM-ish) for them to take that same platform, turbo four and most interior parts from the small crossover and put to use on the small sedan. Isn’t the XT4 based on a variation of the E2XX platform from the Buick Regal/Opel Insignia? That would effectively make the new CT4 a Cimarron in all but name. Very good point. I doubt Cadillac will produce a RWD sedan similar to the BMW 2 Series. Lack of interior room was one of the factors leading to the exit of the ATS. FWD is probably the direction they’ll go with the CT4. People think the CT4 camo cars are FWD? No. If the CT5 is sized to compete with the 3-Series and the like as speculated, there is little demand in the States for something smaller. I predict it won’t even last a full product cycle. It’s been said a million times, but I’ll reiterate… Cadillac should be using their RWD sedan platforms as the foundation for their crossovers. We need a proper return of the Eldorado with dual motor electric drive as a real 2 door. Actually more (a good bit more) as it replaces the ATS, not the CTS. The CT4 is going to be bigger than the CT5? 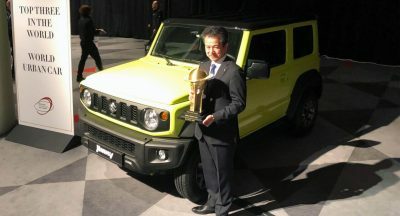 So they end the CTS and ATS, and replace BOTH with that horrendous CT5, and now they’re creating a smaller CT4? Why not make the CT5 the CTS’s true replacement and CT4 the ATS’s true replacement? There’s no follow-through or consistency at Cadillac. Just a bunch of desperate ideas thrown against the wall. Because CT6 is already way too similar to CTS in size and is more of a 5 series/e-class size than 7/S-class size. CT4 will be 2-series/A3/A/CLA competitor. Wrong about the CT6. It’s wheelbase is 122in wb, that’s longer than swb 7 series and the CTS is already the 5 series/e-class sized car. The CT5 really only replaces the ATS; the next CT6 will replace the CTS. Mass confusion and doomed to fail because they’re making all of this more complicated than it needs to be. I mean when you have to do this much explaining you’ve lost the plot. The CT6 is not a midsize car, yet it ‘s not nearly enough car to challenge the full size segment. Just lost logic. FLEETWOOD, ELDORADO, DEVILLE, SEVILLE…AT LEAST EVERYONE KNEW WHAT THEY WERE. Those names can be used along side the new naming system on selected models. Cadillacs originally had numbers and the names were added along side them. The Fleetwood was the Series 60 (limo was 75), the Eldorado was numbered as series 64. Deville was Series 63, etc. YOU’RE OLDER THAN I AM IF YOU REMEMBER THAT. BUT I THINK YOU GET MY POINT WITH THE CURRENT NAMING SYSTEM. Once the Escala comes in replaces the current CT6. 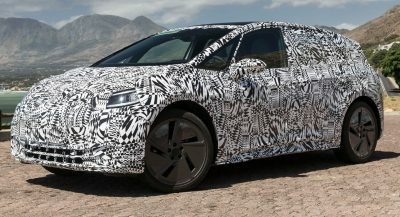 Maybe the CT6 will become mid size as you say. The ATS and CTS were very well received by critics. Now, they’ve been scrapped and replaced by a single model. What makes Cadillac think it can sell THIS version? Well received for driving dynamics. For other things like interior room and appointment, not so much – things which are more important to the majority of luxury buyers. And the CT5 really replaces just the ATS; the next CT6 will take the CTS’ spot. The big difference here is that the Cadillac sedans will go from having among the least amount of interior space to the most. Why do people think this. The CT5 is a direct replacement for cts. CT4 will replace ats. JUST THE FACT THAT YOU HAVE TO KEEP REPEATING THAT TELLS YOU IT’S CONFUSING. IF “CAR GUYS” CAN’T KEEP TRACK IMAGINE WHAT THE GENERAL PUBLIC THINKS. RIGHT? THEY WERE BOTH TOUTED AS BMW FIGHTERS THEN THEY UPDATED THE CTS AND IT FADED INTO THE BACKGROUND. I don’t get the hate for this car. It looks pretty good to me. And it’s almost a given this will be one hell of a car based on ATS/Camaro praise, the Alpha platform is good. Would be my choice if I had to shop in this segment any time soon, only cars IMO worth cross shopping with are the new 3-series or G70, everything else is kind of crap. Cadillac is the value proposition and a dark horse of this segment. Most bang for the buck for sure, like the G70, except I wouldn’t mind being seen in a Caddy. Fingers crossed for a dope V model in the future. It’s clearly going to be CT4,5,6 (all rwd based) matched in segments with 2,3,5-series. The new Cadillacs are maybe too close to plebeian. Though, I hope they move toward splashier interiors for the junior Caddies XT4 and CT4, at least the lower trims. This younger (US) generation is making their urban professional turn just like their parents. It’s a self-aggrandizing culture now. It shows in the snarky comments. It might be easier to overlook older people, with more wealth than status, buying foreign lux, too. Some long-time Cadillac fans are likely still disappointed good concepts never were produced. It looks kind of dumb to have made the CT6 on top of the XTS, when it could have been a more dramatic Ciel and El Miraj, even named as CT#. Cadillac has a terrible brand image. Genesis is at least new and “hip”, and has a demographic that is under the age of 50. Genesis has no demographic young or old. it isn’t on anyones radar for now. Well, apparently it is on someone’s radar. I see more new Genesises (Genei? Genesees?) on the roads than I do newer model Cadillacs. One hell of a car because it will be a good handler, but it will have a junk interior like anything else from GM? Cadillac’s are a terrible value as they’re overpriced for the cheap car you’re actually getting. Bang for the buck? Not a luxury car criteria at all. Wrong segment. Why are you calling the interior cheap and it hasn’t even came out yet? It’s GM. They haven’t been able to make a true luxury car interior in over 30 years, the new XT6 and CT5 prove that isn’t changing. It’s now like most Europeans car from the 60s. A mix between mazda and infiniti. Hideos rear 3/4 design, with that tremendously ugly kink in the window design. 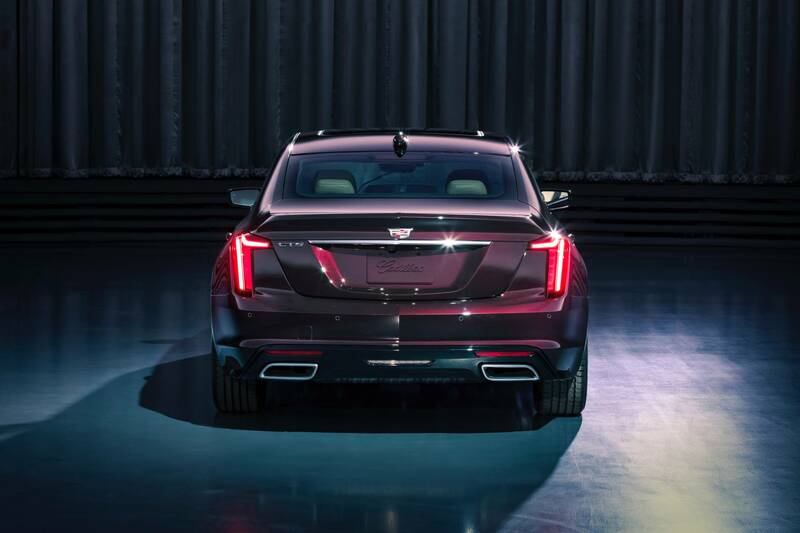 Forgettable rear design with those rear lights that never looked good on any Cadillac. The front, at least, looks somewhat decent. Overall, this still looks much more Chevy-class than anything to bring the fight to BMW/Audi/Mercedes. They go up against the 5 and 3 series respectfully. It’s not hard to follow simple logic. It’s hard to follow because it’s stupid. They already had two cars that did the same thing. Why change the names yet again and confuse the public? 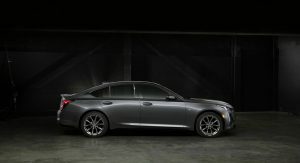 The ATS was too small to be a Cadillac in most buyers minds so they’re going to launch another small sports sedan that will have the same issues, too small, cheap interior, and now with goofier name. Ditto for the CTS. The chassis is excellent, but everything else was sh. 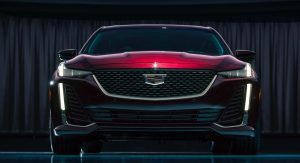 This constant name changing and repositioning (like the current CTS vs the previous one) is a big reason why Cadillac can’t gain any traction with these cars. You have to build lineage and reputation with a nameplate. Everyone else does it and you make the car better and better, not cancel, repeat and then cancel again. It’s dumb as hell for GM to keep doing this. These cars should just be the new ATS and CTS. Build up the nameplate so it means something over time. American car companies are just lost when it comes to this. They changed the naming system so they have more “names” for the new SUVs. That way they don’t have rely too much on randomly picking letters from the alphabet for new model. See, confusion. Some people are saying what he says and some say what you say. Which is it? I’m genuinely asking, what does Cadillac say officially? 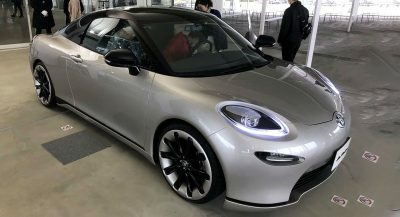 What are this car’s competitors? If it’s another tweener it won’t work as it never has before. What’s their 5 series rival? The CT6 is clearly too big to be one. I’m sure there gonna downsize the CT6 for the next gen. And the CT7 or CT8 will be the flagship. Only confusing to people without a brain. Remember that they won’t just be CT4/5/6’s… They will also have Newton Meter designations on them, along with “AWD” designations (if so equipped). So in reality, we are looking at a CT5-300 AWD, or a CT4-200/250/300 or maybe a CT6-500 AWD. CT as in Cadillac Tries? 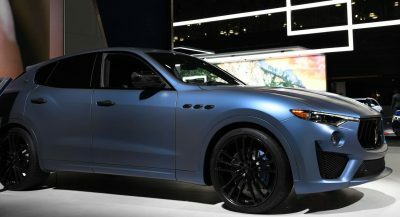 This could be an ultimate success for General Motors’ luxury marque, if Steve Carlisle prices the vehicle appropriate because with its competition, and the introduction of BMW’s all-new 3-series, new to the market Genesis G70, revised for 2019 Mercedes-Benz C-class and Jaguar XE, the ride can become quite bumpy for Cadillac. I don’t think I will pick this over the new 3-series but certainly over the Benz, which I experience recently. There was nothing to “wow” me about the C-class. I think Cadillac has gotten the powertrain correct instead of that weak 2.5L was founded inside the early introduction in the ATS sedan. Big downfall when they decided to do that C pillar and the sloped back /rear end. That C-pillar totally ruins an otherwise great looking car.